University Grant Commission National Eligibility Test abbreviated as UGC NET and often called as NTA NET is a test to ascertain the eligibility for the college level lectureship and for the award of Junior Research Fellowship (JRF). Its a national level examination conducted in India only. On behalf of UGC, National Testing Agency conducts the examination twice a year in online mode. Until July 2018, the UGC NET was conducted by the Central Board of Secondary Examination (CBSE). After that MHRD formed NTA, which took over the conduction of this examination. From December 2018 onwards NTA is conducting the UGC NET, that’s why the exam is also known as NTA NET. The UGC NET Examination was started in the year 1989 – 90, from the examination, is being conducted, but the participation of the candidates was not enough. However, after the year 2013, the participation increased, as UGC proclaimed that, the qualifiers of the NET be eligible for productive jobs in PSU’s, the PSU’s considers the score of UGC NET. 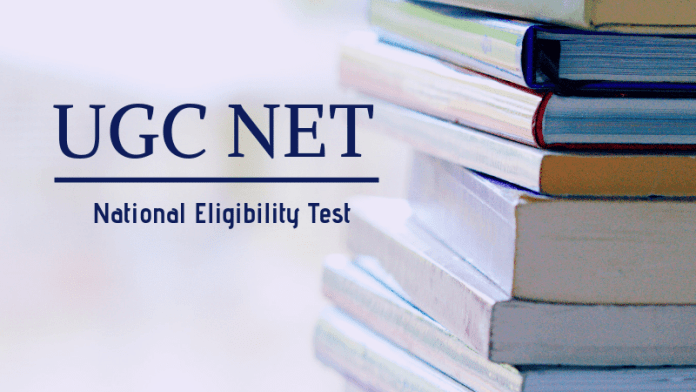 What Is The Eligibility Criteria for UGC NET? This question arises in the aspirant’s mind before filling the application form. Some criteria laid down by the CBSE are the same in the ruling of NTA as well, those who meet the following criterion are eligible to fill the form. Age Limit: There is no restriction for Lectureship, but of JRF the maximum age limit is 32, years. However, the age relaxation has been provided to the candidates of reserved categories. Educational Qualification: One must have obtained a master’s degree in with aggregate 55% marks to General category candidate and 50% to other categories in a master’s degree. The UGC NET examination is being conducted in 81 subjects. It contains two papers, the paper I is the same for all the candidates, for paper II the candidates have to choose on the subject. Fro here the candidates can check the exam pattern fro below. The language of question paper: Mainly in English and Hindi except for language paper. Duration: 01 for paper I, 02 hours for paper II (No Gap between two papers). With the commencement of UGC NET 2019, the UGC has changed the syllabus of the NET examination for all subject including the paper I. The paper I is a General Paper on Teaching & Research Aptitude (Paper -I). The candidates who are appearing for the next exam or planning to enlist in the examination in the near future should prepare as per the new syllabus. What Is Qualifying Criteria and Cut off Marks for UGC NET? The qualifying criteria put for each of the examinations, and NTA hasn’t changed the criteria decided by the CBSE. The candidates have to score a minimum of 40% in both papers to general category candidates, and the candidates belonging to the SC/ST/OBC-NCL/PwD/Transgender categories have to obtain minimum 35% in the paper I and II. A merit list is prepared for all the qualified candidates. For the JRF, among all the qualifiers, the top 6% of candidates are selected, if they haven’t applied for the Lectureship. The candidates of reserve categories are provided the reservations. These category candidates are provided the reservation as per India’s reservation policy followed by the UGC. From this year onwards the candidates belonging to the Economical Weaker Section will be provided the reservation of 10% after the direction of MHRD India.